While portable microbial air samplers are popular and are widely used, there are alternative ways to do viable air sampling AND it can be done in a compliant and validated manner. 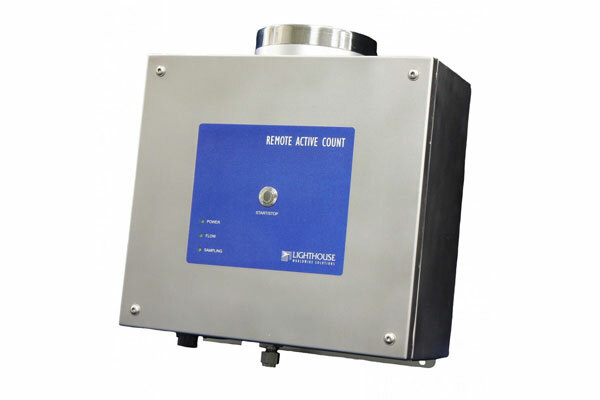 Designed for aseptic environments, the ActiveCount RP offers a microbial air sampling solution that can be integrated with a Lighthouse environmental monitoring system (EMS) or program. With its built in vacuum pump, single button operation and HEPA filtered exhaust, the ActiveCount RP is ideal for monitoring of critical aseptic manufacturing environments. The ActiveCount RP can be mounted on a wall or directly on process equipment. The sampling head can be mounted on top of the unit itself or remote mounted within the critical manufacturing environment. Whether you are sampling within a cleanroom or inside of a biosafety cabinet or laminar flow bench, the ActiveCount RP will meet your GMP compliant monitoring needs. The ActiveCount RP integrates seemelsly into a environmental monitoring system and transfers data on demend using RS-485 MODBUS or Ethernet MODBUS TCP communications.